In this volume of The Culinary Modernist Reader, we highlight the work of the ground breaking organization Biology Fortified. Founded on Halloween of 2008 by then graduate students Anastasia Bodnar and Karl Haro von Mogel (both members of Food and Farm Discussion Lab – FAFDL) the website was an early beacon of Culinary Modernism, it’s central mission to provide real information and understanding regarding biotech in crop breeding. We start of with an essay by FAFDL member Marco Rosaire Conrad-Rossi on the role of Biology Fortified in the “green gene” movement and a piece I wrote for Cosmos magazine on GENERA a public database of research on biotech crops. Then we highlight some of the best writing from the Biofortified community. In keeping with our Culinary Modernist theme, I’ve gravitated towards “think pieces” but I’ve also included a number of the kinds of explanatory essays that the group is best known for. I end up batting clean up with an essay that started it’s life in a Food and Farm Discussion Lab thread, closing the circle. Before we get started I’d like to recognize the growing strength of the green gene movement, which we can see simply by the fact that most of the writers featured here (Marco, Anastasia and Karl, Steve Savage, Layla Katiraee, Joe Ballenger, Jeff Fountain, Kevin Folta) are also members of Food and Farm Discussion Lab as well as groups under the umbrella of our sister organization SkeptiForum. “ Over the last few years there has emerged a “green gene” movement—a conglomerate of scientists, farmers, and activists who believe that the power of biotechnology can be used to make food more nutritious, aid in ending world hunger, and make agriculture more sustainable. The humanitarian goals of the green gene movement are primary, but underlining these concerns is a broader cultural shift within the environmental movement. Environmentalists have tended to view science and technology with suspicion, seeing it as responsible for creating our industrial society and therefore at the source of our environmental ills. The green gene movement is working to flip this idea on its head. Science and technology are seen as essential tools for solving some of the ecological threats facing the earth, and biotechnology can be a means to move us towards a more sustainable future. At the vanguard of this movement is the blog Biofortified.org. Started on Halloween of 2008, Biofortified.org pooled together the work of various scientists who were frustrated by the environmental movement’s entire approach to GMOs. Since that time, the blog has blossomed into its own non-profit—Biology Fortified, Inc.—and now includes a plethora of writers on a wide range of topics. In many ways Karl Haro von Mogel—one of the blogs co-founders and editors—was the perfect person to start Biofortied.org. Haro von Mogel is a Ph.D. candidate in Plant Breeding and Plant Genetics at UW-Madison. While at UC Davis Haro von Mogel was a student of acclaimed plant geneticist Dr. Pamela Ronald. If the green gene movement has a founding text it is Ronald’s book Tomorrow’s Table: Organic Farming, Genetics and the Future of Food. Ronald wrote Tomorrow’s Table with her husband—an organic farmer who once served as president for the California Certified Organic Farmers—and for many environmentalists its thesis is controversial: genetic engineering and organic agriculture practices can work side-by-side. In fact, they must if we are ever to have a sustainable agriculture system. “ Critics of genetically modified crops often assert that all research into the plants’ safety is bought and paid for by industry. Not so, according to a newly compiled database of biotech crop research. Independently funded, peer-reviewed research into GM crops “is common, conducted worldwide, and makes up half of the total research on risk associated with genetic engineering,” say the team behind the database. Rachel Carson’s Dream of a Science-Based Agriculture May Come as a Surprise to Those Who Believe That Sustainability and Technology are Incompatible. “ Just last month, a mini-war developed in Europe, when the European Union’s chief scientist, renowned biologist Anne Glover, said that foods made through genetic engineering, such as soy beans—about 80 percent of US grown soybeans have been genetically engineered —are as safe as organic or conventional foods. … This debate is particularly poignant because fifty years ago this September, with the publication of Silent Spring, Rachel Carson launched the modern day environmental movement by shining a harsh light on the over use of technology—in that era it was chemicals–in farming. “ As more information is made available demystifying what farmers and plant breeders actually do, the public dialog about GE crops is becoming more sophisticated. Even chefs are taking time out of the kitchen to reevaluate their stance on modern agricultural technologies. Mark Bittman, widely admired for his culinary skills (check out his practical lunch tips) and beautiful prose, recently visited one of my neighbors here in the Central Valley (the source of 50 % of U.S. fruits, nuts and vegetable) to learn about tomato farming. He wrote an unusuallythoughtful and respectful piece on the approaches the Rominger farm in Winters is taking to advance ecologically based management practices using modern technologies. “ We evolved to make split second decisions about people we encounter. These assumptions allow us to avoid investing too much brainpower in short encounters. Unfortunately, these instincts do not serve us well when we want to engage with people who are different from us. Stereotypes keep us from seeing each other as people. So many conversations fail due to tribalism. “You are other, therefore I don’t trust you and I won’t engage with you.” Insults like shill are thrown around, but even when it’s not so obvious, the assumptions and stereotypes are lurking, preventing real conversations from happening. “ Happily, there is plenty of room for both non-profit and for-profit inventing and creating in this world. There’s room for the big seed companies, there’s room for small companies and even small breeders like the Zaigers and their pluots, there’s room for non-profits and academics who do breeding, and for farmers and hobbyists who want to save seeds. The only caveat is that you can only save seeds from someone who has allowed it – just as a Creative Commons license allows free use of a creative work but it’s not cool if you use someone’s work without permission. Does Using GMOs Really Increase Pesticide Use? “ The Organic Center recently released Impacts of Genetically Engineered Crops on Pesticide Use: The First Thirteen Years by Dr. Charles Benbrook, agricultural economist and “Chief Scientist” of the Organic Center. I can’t help but get the feeling that Dr. Benbrook started with a conclusion and found data to fit rather than starting with a general review then finding significant conclusions. It’s not that I necessarily have any specific problems with the information Dr. Benbrook presents, it’s just that I think he’s leaving some key ideas out of the report that should have been considered. There are also generalizations that just aren’t warranted. There are a lot of problems with this report, but I’m particualrly concerned with the way Dr. Benbrook fails, for the most part, to distinguish between different biotech traits, fails to distinguish and between different pesticides, and fails to consider non-biotech traits that could increase pesticide use. Will Cover Crops Feed the World? “ The recommended seeding rates for hairy vetch are 30 pounds per acre. The only source I was able to find about seed production of hairy vetch reported that you can only get 200-540 pounds per acre of seed (PDF). This means that for every acre of cover crop, you would need 1/6 to 1/18 of an acre to produce the seed you would need. (You also need to produce the seed for the seed crop – making it slightly higher). Without knowing the true average for seed production, I just averaged the high and low-end of the range to arrive at 1/12 of an acre of seed fields to produce enough hairy vetch for one acre of cover crop. To plant 800 million hectares of hairy vetch cover crops, we need about 67 million hectares (or 164 M acres) of hairy vetch seed production to supply it. For seeds to plant the seed fields, add another 6 million hectares to give you 73 million hectares of land. For perspective, I looked up the total cropland of my awesomely-productive home state of California, which according to the USDA, has 4 million hectares under cultivation. This means that we would need almost 20 California’s of cropland to grow enough hairy vetch seed to plant these 800 million acres, and if you converted all Californian farmland into seed production (goodbye meat, dairy, etc) you still only have 10 M hectares, and you would need the farmland of 7 Californias. The Amish Use GMOs, You know. ” I’m asking you to think like the Amish. Can you consider about the potential benefits of the technology before dismissing it entirely? Can you get past any fearmongering you might have been exposed to, and ask yourself why an Amish farmer might use Bt corn? Don’t you think some of these technologies deserve a look to see if they offer useful features that can benefit farmers and consumers? Consider that something you don’t need in your backyard is fine to dismiss for your personal situation–but are you qualified to withhold that from people in other situations? They are keeping the faster growing salmon from you – salmon grown in inland tanks that the Monterey Bay Aquarium Seafood Watch classifies as a “Best Choice” for the environmental benefits of that type of system, is this their idea of victory? I don’t eat seafood myself, but this product is of great interest to my cat. And as much as I like my cat, I really don’t think we need to harvest the wild stocks in the ocean for her dining pleasure. “ Hello [Legislator]–thanks for the reply. I’ll add a few more things below, with a bunch of supporting links. I’m sure you are swamped with many tasks, I don’t need a reply. But I wanted to just provide a bit more detail on my thoughts. … I understand that you support H3996 because you believe it is a labeling requirement, and my comments below will be based on the text as I saw it in the MA Legislatures web site as of June 5, 2014. It is possible that this bill will change, or that my understanding does not match yours. Or if that is not the version I should see, let me know. But I will attempt to explain my understanding of it, and of the possible consequences, based on that text. The tofu example you offer is actually an excellent illustration of the effectiveness of the current system. If [local grocer] tofu at 99¢ is clearly labeled that it is “made with GMO soybeans” as you note, that’s actually more information than H3996 will provide. As I read the bill, the product packages in MA will be labeled with the phrase “Produced with Genetic Engineering”. It doesn’t specify which ingredient is GMO. And as you also note, Nasoya’s “organically grown” tofu soybeans ($1.99) label also provide you with more than H3996 will offer. The “organically grown” label is federally protected language and means that GMOs would be excluded from this product. Unfortunately many people don’t understand the labeling systems we already have, this confusion is something I see quite often. 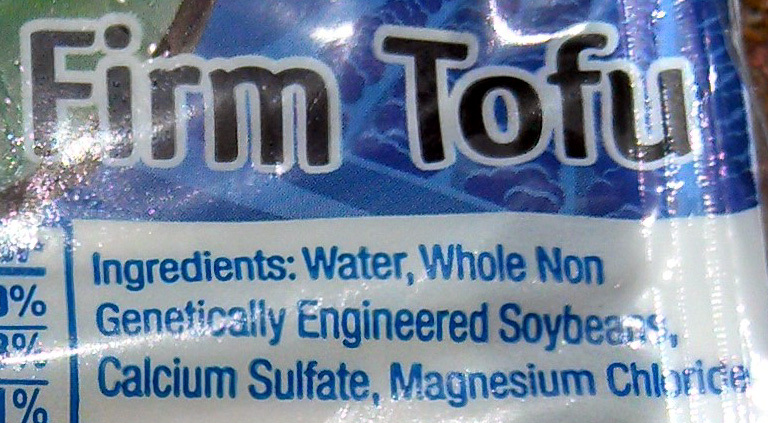 In the case of the single ingredient in tofu that might be clear what is “produced with genetic engineering”. But let’s examine another label. Let’s pick Cheddar Whole Grain Goldfish® as an example. As I understand it, this package would probably now likely carry the “Produced with Genetic Engineering” label, due to canola or soybean oils or possibly the vitamins. However, because the specific item will not be designated, this may lead consumers to mistakenly conclude that the wheat is GMO. There is no commercial GMO wheat. I do not believe consumers benefit from this misleading label. Further, since oils are refined and have neither DNA or protein that differs from conventional oils, the production by GMO methods offers no useful ingredient information either. “ Between 1960 and 2010, production of most crops did manage to keep up with population growth and for many crops there was actually more available per person in 2010 than in 1960. Living standards also improved in many parts of the world, which meant that people were able to enjoy that per capita increase. Fertility rates have declined with the education of women combined with improvements in living standards and food security. It is projected that global human population will level off by around 2100 due to these factors. “ No, I don’t mean the 70s rock band led by flautist Ian Anderson and guitarist Martin Barre, I mean the early 18th century agronomist and inventor named Jethro Tull. In modern societies we tend to romanticize the lifestyle of our more agrarian past. 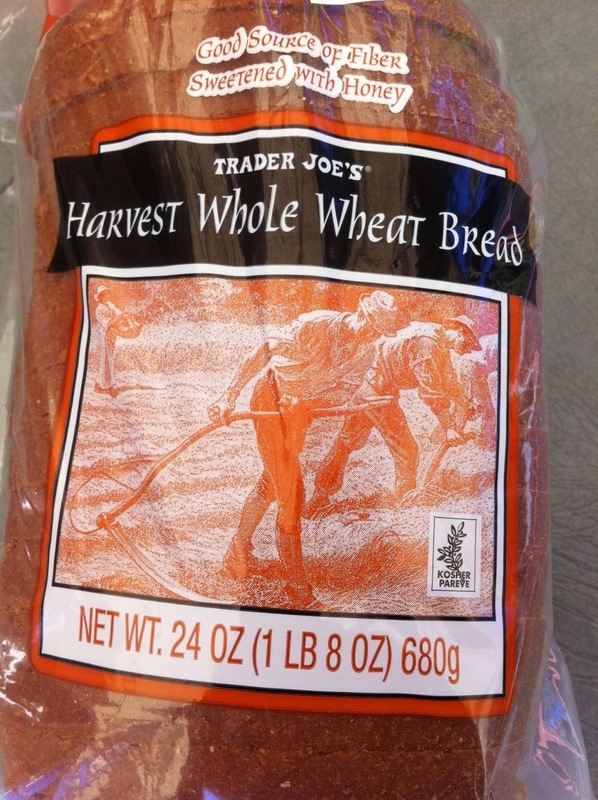 An example of that would be the image below of people hand harvesting wheat on the bag for some bread I recently bought at Trader Joe’s. I’m quite sure that is not how the wheat for that loaf was harvested. Chances are good that the flour for that loaf originated on a farm in a place like North Dakota or Alberta where high quality hard red spring wheat is grown by farmers who quite commonly tend one, two or even ten thousand acres of land. In a typical “food movement” narrative that would be disparagingly described as “big-” or industrial agriculture.” Some would assume that this was a product originating on a “corporate farm.” Those common conceptions are completely wrong and farmers find the terminology quite annoying. “ Stop by the farmers’ market in Hilo, Hawaii, and you’ll find knobby cherimoyas, avocadoes the size of eggplants, and mounds of papayas sunset-fleshed and as smooth and sweet as custard. That wasn’t always the case. Back in the 90s, Hawaiian papaya farmers were faced with devastation from ringspot virus, a plant virus that reduced papaya production by 50 percent within six years and just kept spreading. Small farmers faced losing their livelihoods when one plant pathologist developed a virus-resistant variety called the Rainbow and distributed the seeds to struggling farmers—for free. Fourteen years later, Hawaii’s small papaya farmers are flourishing. “ When discussing transgenic crops, I regularly get asked to provide a paper that “proves” that GMOs are safe. Whether you want proof that biotech crops, organic bananas, or conventional peaches are safe, I cannot provide you with such a paper. Safety is a relative term and is generally defined as the absence of risk or harm. As such, asking for proof of safety is, in essence, asking someone for proof of the absence of risk. The risk of what ever is being evaluated is measured in relation to other options, not against a theoretic idea of “perfectly safe”. Relative risk is scientifically determined by examining the evidence at hand: experiments are performed to determine the impact of a substance on health, environment, etc and the data from these experiments are assessed to determine if the substance causes harm. ” [A]s Professor Xavier points out in the opening credits of [X-Men], the process [of evolution] is slow. So how can we “force” beneficial mutations to occur quickly? In crop development, we’ve been forcing mutations to happen by a process known as “mutagenesis“, where chemicals or radiation are used to create random mutations generating new traits. A few recent news articles have reported that plant breeders are turning more frequently to mutagenesis to create new strains because there are fewer regulations. Mutagenesis is considered to be “traditional breeding” and crops generated through mutagenesis are accepted under the USDA’s organic label. This stands in stark contrast to transgenic crops, which are heavily regulated and are excluded from the organic label. So is traditional breeding, including mutagenesis, “better” than transgenesis? This post shall seek out the answer. Drumroll… It’s the battle of the methods, thunderdome-style!! Deathmatch: traditional breeding vs transgenesis. Two methods enter, one method leaves. Or maybe there will be a tie. Who knows? ” Life, at it’s most basic level is really just a series of chemical reactions. Biochemists and molecular biologists, such as myself, look at how life works at the very most basic level. Unfortunately, this stuff is all very complicated and there are few resources online to explain how this work. Anastasia has a wonderful post about how Bt corn works in transformed plants, titled simply ‘Bt‘. In the post, she focuses on how the protein works from the angle of a plant biologist. In this post, I will be discussing the protein from the angle of an entomologist. What makes honeybee colonies Collapse? “ One question which I’ve had for awhile is: What happens when honeybee colonies Collapse*? In other words, why do the bees leave? A paper in PNAS, Rapid behavioral maturation accelerates failure of stressed honey bee colonies, seems to have answered the question, at least partially. Food Hunk (aka Jeff Fountain) putting Skippy peanut butter under the microscope (by holding the microscope just a little bit higher than the jar of peanut butter). “ Early this September I attended the National Heirloom Expo in Santa Rosa. It’s an event that’s centered around the pure food movement, heirloom vegetables, and anti-GMO activism. The speakers included Joseph Mercola, Jeffrey Smith, Andrew Kimbrell, and my personal favorite pseudoscientist, Vani Hari, a.k.a. the Food Babe. For those unfamiliar with Food Babe, she is an anti-GMO, pro-organic public figure who attacks food and agricultural companies for what are essentially harmless practices. The reason I mention her is because she inspired me to start my own Facebook parody page called Food Hunk, which is what sort of drove my foray into ‘activism’. Food Hunk is to Food Babe, what Stephen Colbert is to Bill O’Reilly. I joined a community of other wonderful Food Babe critics such as Chow Babe and Science Babe, with my page being a bit of a broader commentary on fallacious ways of thinking, such as the all-too-common naturalistic fallacy. “ As I write this, the agricultural community has just finished a week acknowledging and celebrating the work of Norman Borlaug. Borlaug, of course, is widely known as the father of the Green Revolution, having increased the production of staple crops (particularly wheat) around the globe to unprecedented levels. He single-handedly stymied Malthusian predictions of inevitable global starvation, thereby changing the global perspective on agricultural production. While this is due in part to Dr. Borlaug’s untiring and persistent work, it is probably less widely acknowledged that the great accomplishments he achieved were largely made possible by the system he used to deploy them. His work was funded by private grants and he freely gave away his work, even to the point of begging or forcing farmers and politicians to take the seeds he had created. Perhaps to more long-term effect, he actively sought out students from around the world to come and train with him to learn his methods and techniques so they could be applied worldwide. This generosity even extended to the peasant children whose curiosity led them to follow Borlaug around his plots in rural Mexico. Folta and Frank. Formidable to foes. “ Last week I received a FOIA request that all of my emails bearing certain terms were going to be obtained and turned over to an activist group. US-RTK, a San Francisco-based activist group, namely Gary Ruskin, wanted to know my ties to Big Ag and their PR arm. The camera actually pulled off of her to a wide shot of the stage to at least take the focus away from her domineering. She does not answer the question. The host even asks her to specifically answer a question about if we need to carefully consider all forms of genetic improvement. Shiva goes into a rant on long-laid-to-rest claims about antibiotic resistance and viral promoters, never answering the question. Emphasis on fear building. Note the hard emphasis on “toxin” when discussing Bt. Of course, we know that this protein is not toxic to non-targets, including most insects, but for her agenda she must install fear by manufacturing risk using key buzzwords. She also claims that there is no testing or regulation, which is patently false. “ In addition to being false, the whole idea of the “balance of nature” is misleading. From it has come the view that ecosystems are a highly complex, integrated system of interactions between species, complexity that is beyond our understanding. The evidence, however, points to different conclusions. Drury reports “once seen, most of the interactions are simple and direct. Complexity seems to be a figment of our imaginations driven by taking the ‘holistic’ view.” Similarly, because ecology (at least until recently) has maintained that “natural communities tend towards equilibrium” Soulé concludes “the science of ecology has been hoist on its own petard.” In other words, ecologists have been misled by erroneously seeing what they assumed they would see. The Garden of Eden by Thomas Cole. Public Domain via WikiMedia. “ Although I think we would be better off without the “mimic nature” baggage, I am not saying that biodiversity is not important. We should incorporate more diversity in our cropping systems, not because nature is diverse, but so we can better use the properties and processes in individual plants. If it exists anywhere, the “genius” of nature is in individual species and not in the ecosystems. Right now, other than corn, soybeans, rice and wheat, we have not thoroughly explored the capabilities of many plants, domesticated or not. “ Let’s talk about those industry funded studies. You know the ones. The ones you hear about from anti-GMO folks in the comment section of any story about GMOs. According to those folks, the whole scientific consensus on GMO safety is based on industry funded studies. They say that the only studies that show that GMOs pose no different risks than conventionally bred crops were all bought and paid for by Monsanto. That makes the consensus suspicious right? It would if there weren’t many independently funded studies with similar results. “ When I first started learning about GMOs, my model was trans fats and vitamin supplements. We thought that we could engineer a food that was healthier than saturated animal fats and it blew up in our face. We thought that if eating vitamin rich foods conferred health benefits, then supplementation would be even better. Except in cases of malnutrition, that hasn’t proven to be the case. I wasn’t ideologically opposed to genetic engineering, I just figured that given our current understanding of nutrition and ecology, the technology wasn’t really ready for prime time. I figured if we couldn’t figure out margarine, then we weren’t ready to start tinkering with plants at a genetic level. Common sense, right?